I don't remember when I first read or saw one of Andrew Breitbart's websites, but really paid attention to him when he came out with his "Big" websites, especially Big Government and James O'Keefe's expose on ACORN. I knew this was someone to watch. 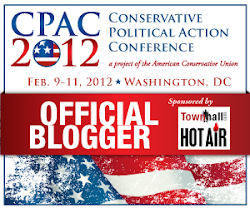 What was to become an interaction with Breitbart and helping him in exposing a liberal lie began in late March 2010. I attended a rally on Capitol Hill against Obamacare, just as the bill was being voted on (more appropriately...railroaded) in Congress against the will of a majority of the American people, and tens of thousands who peacefully gathered to voice their opposition. Democrats, knowing they were on the losing end of the issue, decided to send members of the Congressional Black Caucus (CBC) to walk from the Cannon Building to the Capitol through the crowd (instead of underground), and back again an hour later. In between that time, Democrat Andre Carson told reporters he, John Lewis, and other CBC members had a racial slur yelled at them 15 times on their way to the Capitol. The Obama Lapdog Media and others repeated this claim without question, as they finally had their long, sought after proof that the Tea Party movement was a bunch of racists and bigots. I only found out about the story after I got home that evening and posted my videos and photos of that day. I'd posted a 48 second video of the CBC walking back from the Capitol through the Tea Party crowd (not through the underground passage). There were chants of "Kill The Bill," but there was no evidence of any racial slurs being yelled. That video "went viral" and ended up on many websites and blogs, including a post by Andrew Breitbart on Big Government. Breitbart took the ball and ran with it, publicly doubting the story and offering reward money to anyone who had a video proving the slurs were yelled at the Congressmen. No one offered the evidence, and a couple of weeks later, the AP reported that Breitbart had it all wrong, the video was shot at the wrong time. The slurs allegedly happened when the CBC was walking to, not from, the Capitol. Checking my e-mail after returning from a business trip in Southern California, I found a message from the AP reporter. Unbeknown to him or anyone else, I had also shot a nine second video of Reps. Carson and West walking in front of me en route to the Capitol, but I did not use it on the night of the 20th, as I thought it was too brief and did not know at that time of the racial slur allegation. That's when I contacted Andrew Breitbart via the Big Government tip comment box, not knowing if he or a staffer would see it or not. "Call" followed by a phone number, sent from his Blackberry. So, I did. We talked twice that night, I told him what I had and he asked me to send it. I was glad to, knowing he could do more with it than I could. 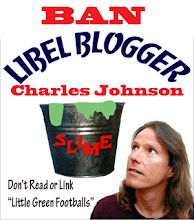 Days later, my video, and about four others, were compiled by him and Larry O'Connor, refuted claims by the CBC that the vile "n-word" had been yelled at them 15 times by members of the Tea Party. Almost a year later, when I finally had the opportunity to meet him in person at CPAC, Andrew Breitbart looked at my badge and said "You're the guy!" He and Larry O'Connor remarked how much the video I took helped out. Hey, I was just happy to be one of those who helped out. The reason I'm writing this isn't about me, or any of the others who took video that day. It's because there was someone like Andrew Breitbart who was out there with that big bullhorn that no one, not even the Obama Lapdog Media, could ignore, taking these bits of truth and shouting it out for us. He didn't cower. He was bold, unafraid, and took the Left on by staying on offense. So many times, after seeing him on TV or reading a new Breitbart expose, I'd say to myself "I'm glad that guy is on our side." After the release of his book Righteous Indignation, Excuse Me While I Save The World, I had the opportunity to do a phone interview with him, only days after that snotty MSNBC liberal host Martin Bashir tried to do a "gotcha" hit job interview with him. I'll link to that interview here. If you haven't read his book, you must read it now! It was one of those rare books I was not able to put down (I read it in about a day). There was a lot about Andrew Breitbart I could relate to. We were about the same age, with a four month difference. We shared a distaste of the "grunge rock" culture that came up in the early 1990s (and that the media was claiming spoke for our generation). Plus, I found out he lived in Austin, TX briefly during the same period I lived there in the mid-1990s. I saw him twice at CPAC last month, during a blogger's briefing for an upcoming film exposing the "Occupy" movement, laughing with everyone else as he walked in with an "Anonymous" mask. The next day, I ran into him in the lobby. I shook his hand and said "Hi Andrew" as I walked by, not knowing that would be the last time I'd ever see him. I saw he started following my Twitter feed just recently, after I copied him in a response to a vile tweet that unhinged liberal actor Alec Baldwin sent him. It's hard to believe that a giant in the conservative new media, a patriot like Andrew Breitbart is no longer here, leading us in fighting the good fight. The conservative movement lost a larger-than-life leader, but a deeper loss is being felt now by his family, including a wife and four young children who no longer have their husband and father. My heart aches for their loss, and my deep heartfelt prayers, thoughts, and sympathies are with the Breitbart family and the Breitbart media staff. Though my personal interaction with Andrew Breitbart was brief, it was an honor to be one of those who helped him in shining a light on the truth and exposing the Left. You're an inspiration to us all and showed us how it's supposed to be done. 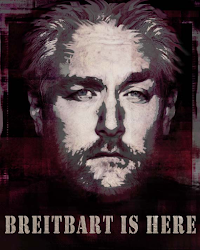 May you rest in peace and in God's arms, Andrew Breitbart. I, along with the rest of "Breitbart's Army," will now collectively pick up your sword and carry on the fight. Sunshine State Sarah has a running round-up of Breitbart tributes and reflections, as does Zilla of the Resistance. A wonderful, thoughtful post of Andrew. Now Chris Rock, Just Who Is "Crazy" and "Insane?"